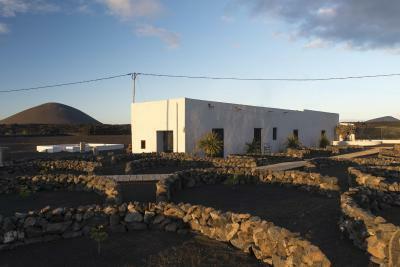 Lock in a great price for Buenavista Lanzarote Country – rated 9.6 by recent guests! So peaceful, amazingly beautiful setting in the Geria wine area! 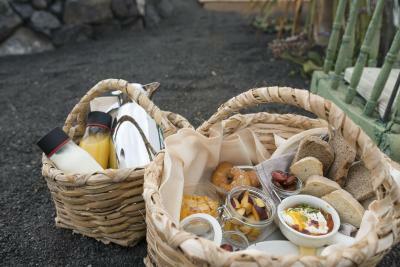 Lovely breakfasts brought to your room in a basket and an excellent and thoughtful dinner for guests on Mondays (when most local restaurants are closed). 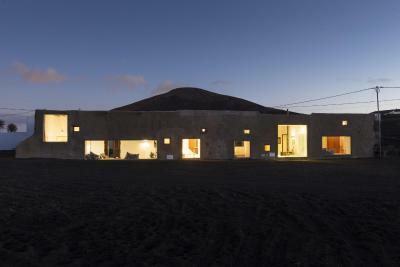 The staff were fantastic and the recommendations they provided for the entire island were spot on! 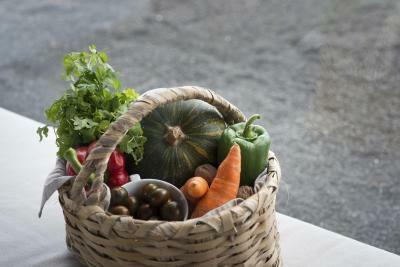 Do not miss the wonderful restaurant at Bodega Uga btw! We felt very comfortable. The breakfast was perfect and the staff decidedly friendly. Always like to. Paradise place with super friendly owner and staff. The location was great, 15min drive from the airport! Was perfect to move around. 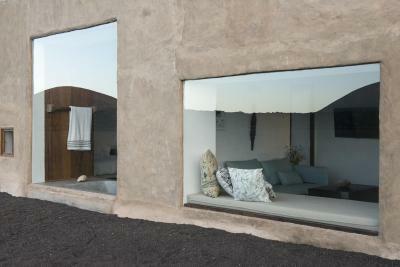 The design of the rooms are amazing and the breakfast and dinner prepped by the owner was just PERFECT. We had a great stay, will come again ! We stayed three nights in one of the apartments the last week of July and it was awesome. The apartment was very clean and comfortable - it looked exactly as in the pictures (or even better!). The breakfast is excellent. 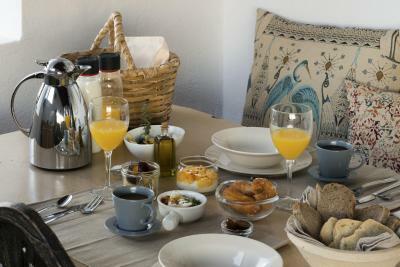 Delicious homemade jams and marmalades, fresh eggs, fruits, bread, cheese - and all served on really beautiful pieces of ceramics made also in Lanzarote. 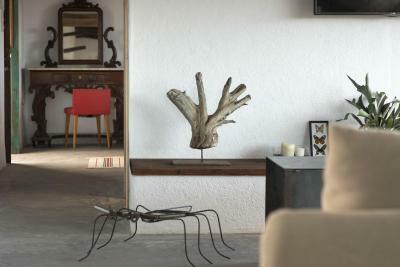 The people (Gonzalo, Jessica,...) are really friendly and take of every single detail. Totally recommendable for an unforgettable experience! 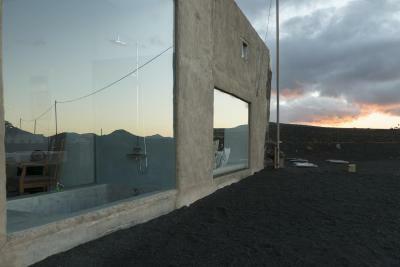 Everything about our stay at Buenavista was wonderful!! Hosts were so friendly and helpful, room was beautifully decorated with great views of landscape - fantastic for sitting on porch to watch sunset, great breakfast brought to room. Would love to return, one of the best hotels we have stayed at. Buenavista has been the best hotel I have been so far. 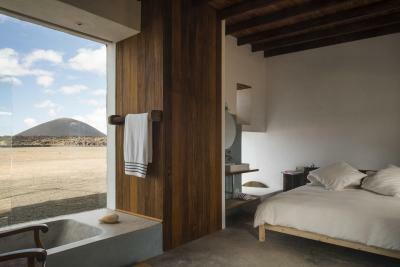 The room we stayed in was marvellous, the lunar landscape and mountains around it absolutely breathtaking. The shower was heavenly and there was even a fireplace. Breakfast was delicious. Easy to get to from the airport. I cannot recommend enough. The location is great. You will need a car to move around, but everything is relatively close. The place is very nice and modern. The apartment was huge, with lots of light and great views. 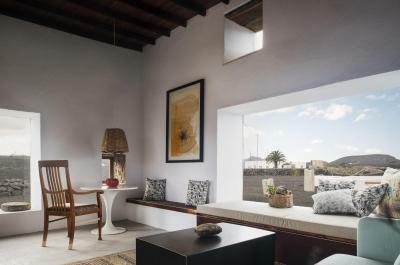 B&B Buenavista Lanzarote Country is tranquilly located in La Asomada and offers stunning mountain views. 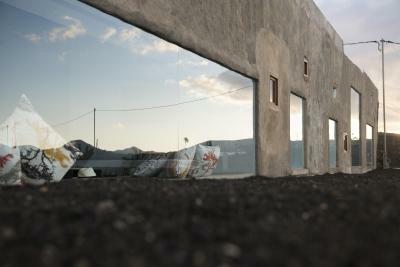 Guests can enjoy barbecue facilities and a terrace, as well as free WiFi access. 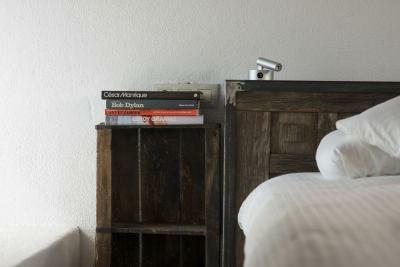 Featuring modern, minimalist décor, the soundproofed suites are set in an antique country warehouse. 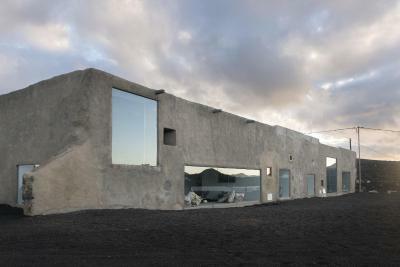 They have a living room with a flat-screen satellite TV and a radio. The kitchen area provides a dining table, a toaster and a kettle. A complete breakfast is served in the room. 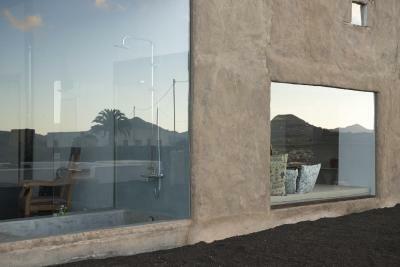 With large glass windows offering extensive views, the suites offer a large double bed and a bath or shower. Towels and linen are provided, and a laundry and ironing service is available. 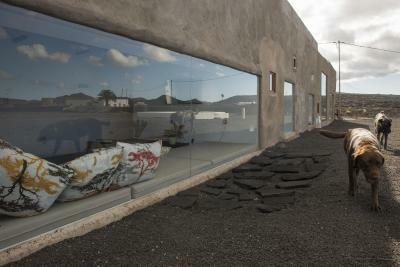 Shops and restaurants are located within a 10-minute drive of B&B Buenavista Lanzarote Country. 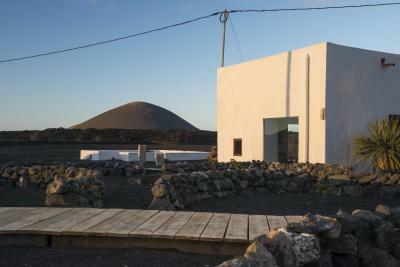 Puerto del Carmen is just 5.6 mi away and Lanzarote Airport is a 15-minute drive. Free parking is available. 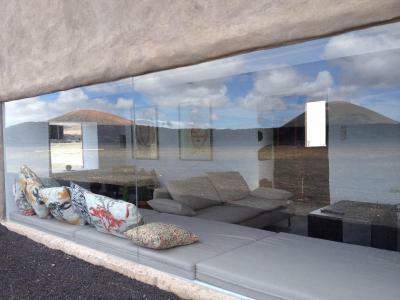 This property also has one of the top-rated locations in La Asomada! Guests are happier about it compared to other properties in the area. 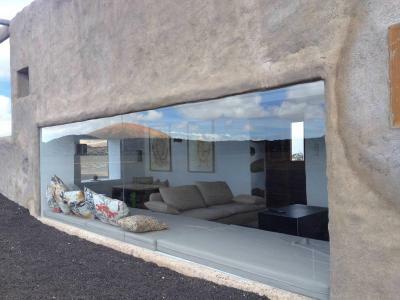 This property is also rated for the best value in La Asomada! Guests are getting more for their money when compared to other properties in this city. 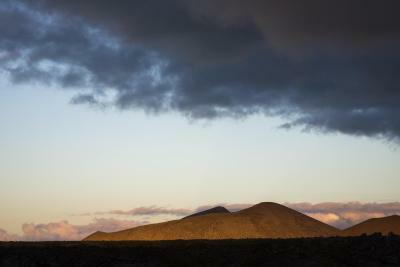 When would you like to stay at Buenavista Lanzarote Country? 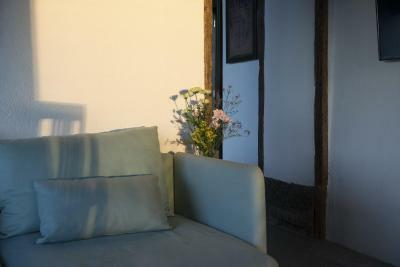 This spacious suite is set in an antique country warehouse and offers fantastic views to the east. Featuring modern, minimalist décor, the soundproofed suite has a living room with a flat-screen satellite TV and a radio. The kitchen area provides a dining table, a toaster and a kettle. There is a daily cleaning service and a complete breakfast served in the room. 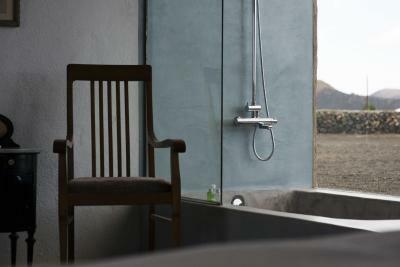 With large glass windows offering extensive mountain views, the suite offers a large double bed and a shower. 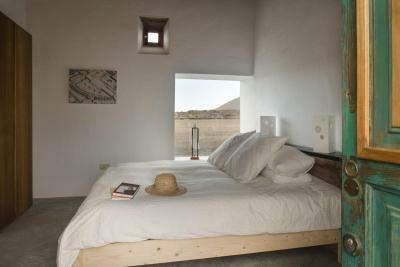 Towels and linen are provided, and a laundry and ironing service is available. 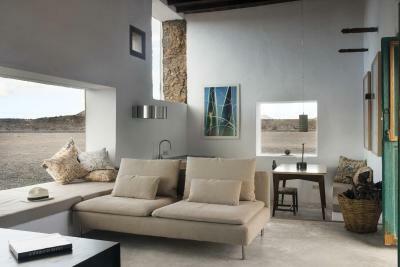 This spacious suite is set in an antique country warehouse and offers fantastic views to the west. Featuring modern, minimalist décor, the soundproofed suite has a living room with a flat-screen satellite TV and a radio. 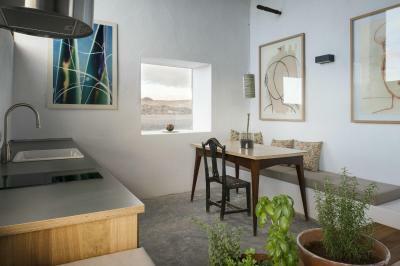 The kitchen area provides a dining table, a toaster and a kettle. There is a daily cleaning service and a complete breakfast served in the room. 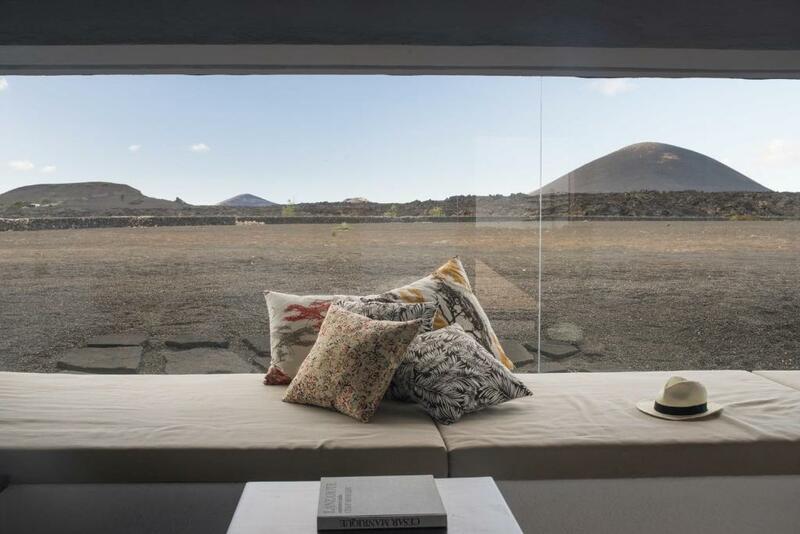 With large glass windows offering extensive mountain views, the suite offers a large double bed and a bath. Towels and linen are provided, and a laundry and ironing service is available. This suite features a fireplace, electric kettle and soundproofing. 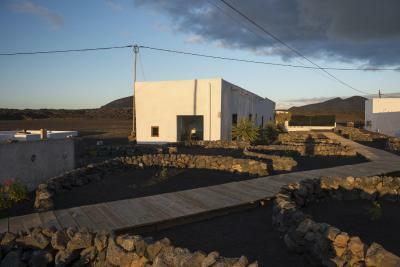 House Rules Buenavista Lanzarote Country takes special requests – add in the next step! 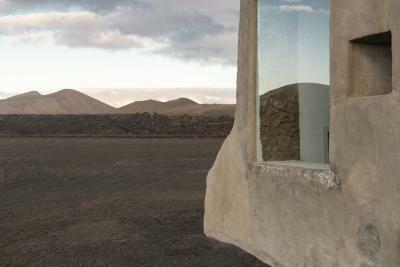 Buenavista Lanzarote Country accepts these cards and reserves the right to temporarily hold an amount prior to arrival. 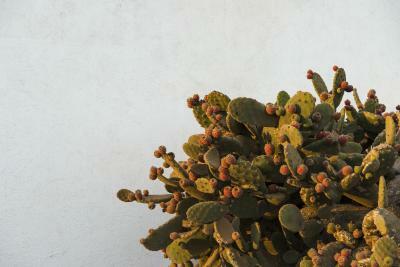 We had a lovely stay at the beautiful Buenavista. 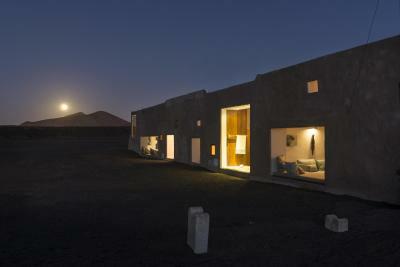 The lunar landscape outside our door was absolutely breathtaking and the amenities and breakfast above expectations. 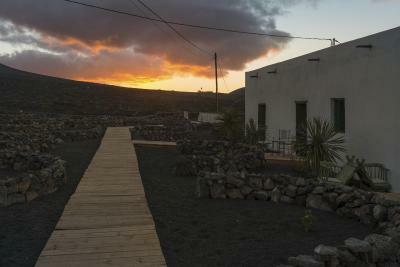 This place is something unique and I would warmly recommend it to anyone coming to the island. Nothing...we didn’t want to leave!! The bed was too soft for our comfort. The breakfast is pretty good, but you might expect something better for the price.